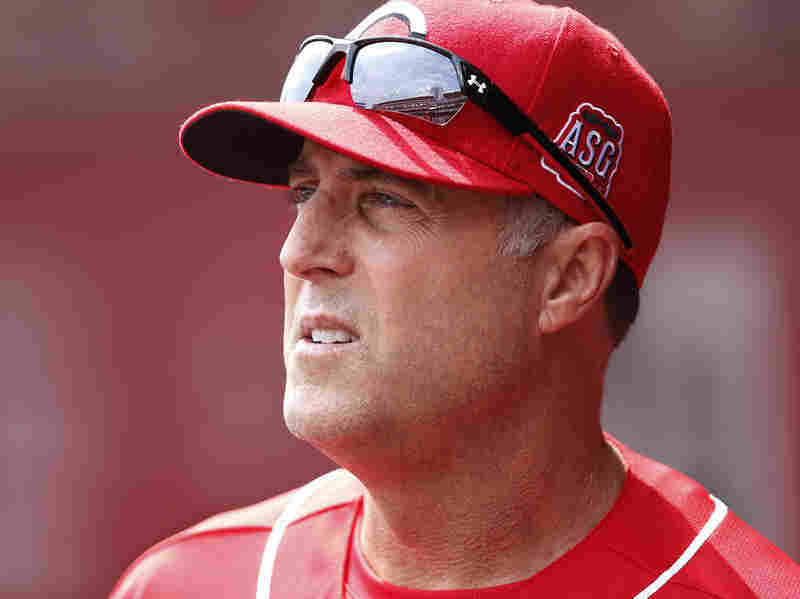 Cincinnati Reds manager Bryan Price did not raise his voice as he delivered 77 profanities in response to a reporter's question. This week Bryan Price, the manager of the Cincinnati Reds, who had just lost four straight games, answered a reporter's question with a 5 1/2-minute reply — a lot of people called it a rant — that featured what the Associated Press called a "common vulgarity" that begins with F.
He repeated this profanity 77 times. He put an i-n-g trail to the word and uttered the expletive as an adjective, a gerund, and an interjection. He set off the profanity over and over, like firecrackers on the Fourth of July, though not once in 77 times did he use it to describe the act of intimacy for which that word was coined. The manager has apologized for his language, but not the gist of his argument. Mr. Price was upset over media reports about which players were injured, who might be sent to the minors, and who would replace them on the team. Such information could be valuable to the club's opponents. And he said the Reds hadn't been able to reach some of the players themselves. "I think we owe that" — F-bomb — "kid the right to be called and told that he's going to be sent down as opposed to reading" it in a tweet, he said, followed by more F-bombs. But the manager's good point got lost amid the expletives. An occasional profanity should be added to your language like a habanero pepper, not poured all over your words, like ketchup. A speech that Price probably intended to defend the right of the manager to inform his players of personnel changes before they hear about it on Twitter or the radio wound up being reported just as a profane rant. I do not know Bryan Price. Reporters who cover the Cincinnati Reds say they were surprised by his tirade: The Bryan Price they deal with every day is gracious and forthcoming. I see by his bio that Price went to the University of California, Berkeley — a school still better known for producing more sandal-clad protesters, long-haired academics, noted economists and Nobel laureates than pro athletes. You'd think a Berkeley man would have learned how to use more than one profanity.